All has been a little quiet here for a while, so I thought it was time to do another quick roundup of what I’ve been up to. Our back garden has just been completely re-landscaped. 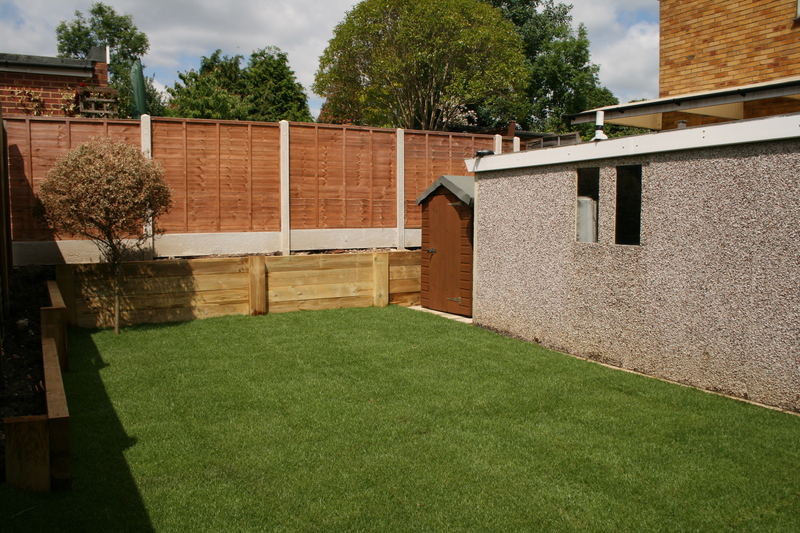 We got rid of some rather overgrown conifer trees and cleared the whole space, levelled the ground and returfed everything. It’s much lighter and brighter and so much better. It’s much more practical and appealing for the boys to play out there now. I know, because I’m desperately trying to keep them off the grass until the turf has rooted in! And it’s much lower maintenance which is great for a non green-fingered bod like me, although I’ll still have space to plant a few bulbs and things. I am between theatre activities at the moment. My current group has just auditioned for its next musical production. I went along to one of the dance workshops, which was hard work but good fun, but ultimately decided not to audition for the show. This is partly so that I am a bit more free over the summer, to go visit my folks for a week or so perhaps, or to go away for a few days as a family, without worrying about missing rehearsals. However, I am getting a little antsy about not having a show lined up, so I’ve just joined a different theatre group, who mostly specialise in plays rather than musicals, so I’ll see what comes up with them. Knitting has got me all frustrated at the moment. I went back to the bane of my life cardigan, and have started knitting the button-hole band, but I just can’t get the edge to look right. The button side I slipped the first stitch of each row and it kept the edge tidy, but doing the same on the hole side doesn’t seem to have the same effect – I keep ending up with a little bump around each edge, rather than a nice neat series of V’s. I guess a picture is probably more useful here. Horrible little bumps around each edge. Where did it all go wrong? 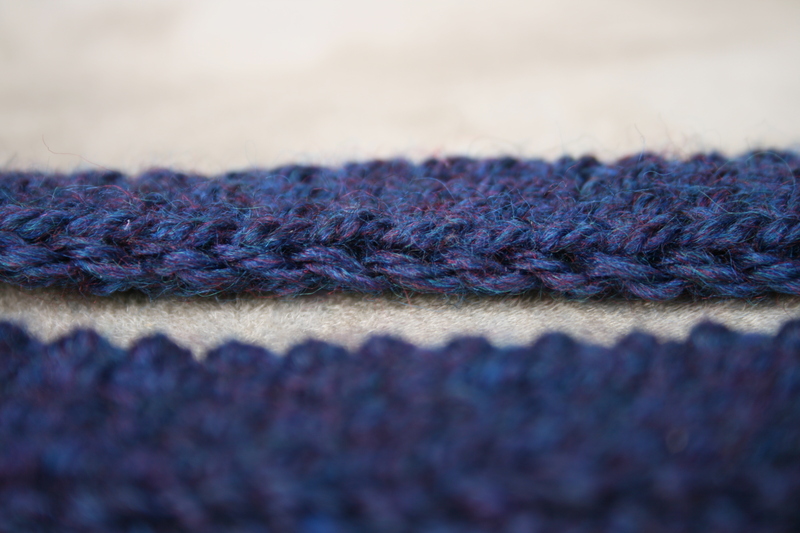 I’ve tried slipping knitwise and slipping purlwise and neither seems to make any difference to the edge. The two bands feel completely different too; the neat one feels soft and lovely, whereas the bumpy one feels much more hard and stiff. Somebody please tell me what I’m doing wrong, and how I should be doing it! If I can fix this problem, I might actually be able to get it finished and have a FO for my next post! So, as a distraction from the frustrations of annoying knitting (and because I really am not going to knit anything else until this flaming annoying cardigan is done, I’ve resorted to gaming instead. It’s been years since I really played anything on the Wii, but I’ve had a sudden craving for a bit of Zelda, so I’m working on Skyward Sword. I’m not enjoying the graphics as much as I liked Twilight Princess, and the fighting feels a lot more tactical than any other Zelda’s I’ve played before – I’m more of a whack-it-and-hope-it-dies type player, but I’m not far in, so we’ll see how it develops. Oh, and has anyone seen the new Clangers on CBeebies? Pumpkin and Pickle are quite taken with it. Pumpkin actually turned to me the other day and said ‘Mummy, for your next knitting, can you knit me a Clanger?’ !! I love his confidence! A quick search on Ravelry revealed several patterns, including an official one on the CBeebies website, so if you’re in the UK you can download it here: CBeebies Clanger Knitting Pattern. I’ve downloaded a copy and will add it to my list of things to make. It’s been a while coming, but I have something off the needles again at long last. 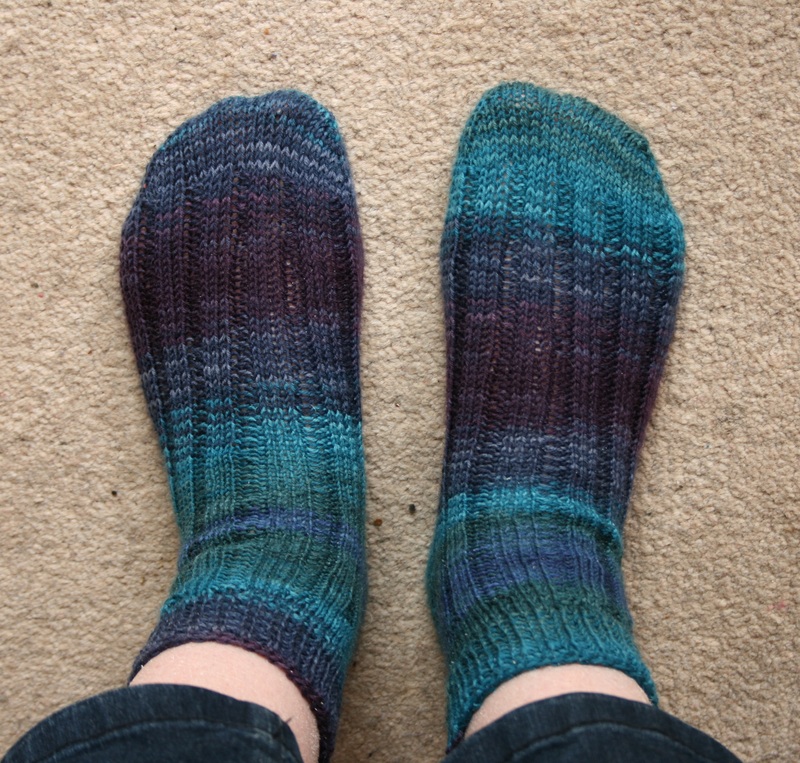 The anniversary socks are finally finished! 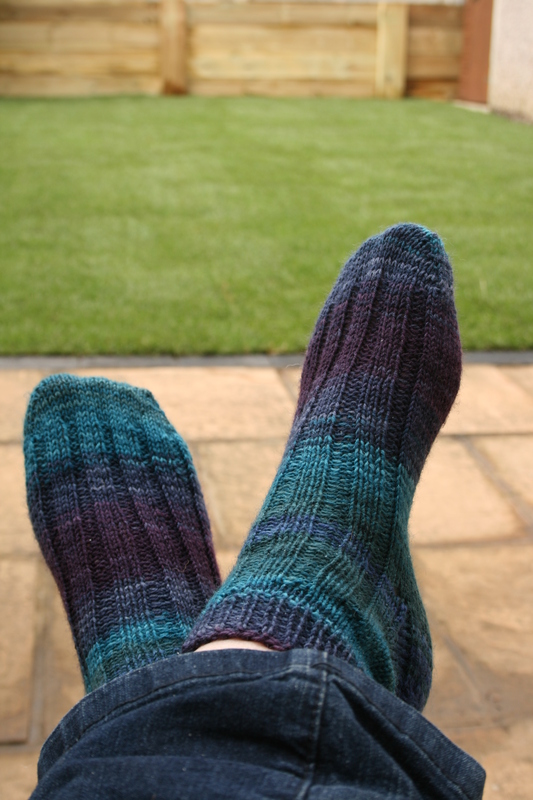 They got put down for several weeks, while I was occupied doing my most recent show, as well as reading more, but I took them on holiday with me and with the time to concentrate on it, I managed to make a start on the heel. When I got back I knew I needed to get the heels finished, or I’d lose my place in the pattern and I’d have to rip back. Once the heels were done, I had the momentum to get them finished. I procrastinated a little over the bind off, but went with what was in the Earlybird sock pattern; Jeny’s Surprisingly Stretchy Bind Off. I actually ran out of yarn on one sock, but had plenty left on the other, so I did a russian join using the end of the other ball and had enough to finish. It meant there’s a bit of a sharp colour change just at the end on one of them, but I don’t think it looks too bad, and won’t be seen much as trousers will cover the top anyway. They’re a little longer than I expected, and a little shorter than I’d like, but they’re a good fit and quite comfortable to wear. It was my first time using real sock yarn. I love the colour changes. 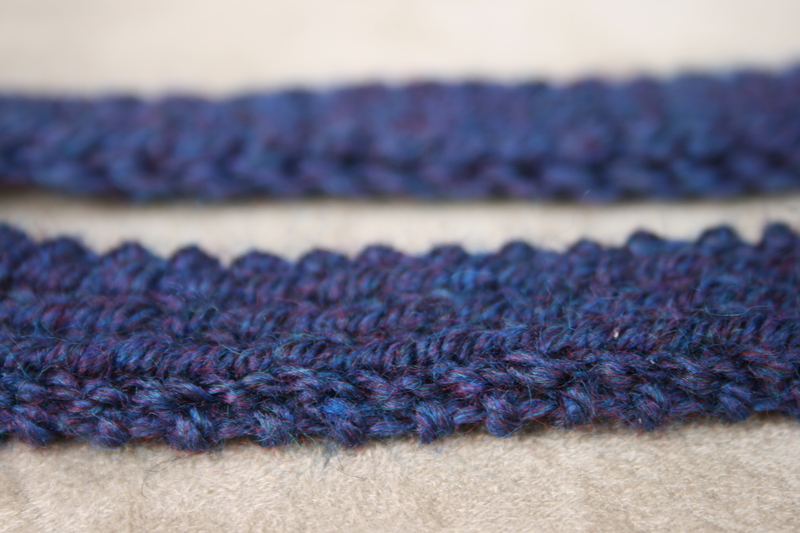 I think doing two at a time using magic loop is the right way to do it, as I know I’d suffer badly from second sock syndrome if I tried knitting them separately. Toe-up was great as I could use every last bit of my yarn without panicking about running out or wasting lots. 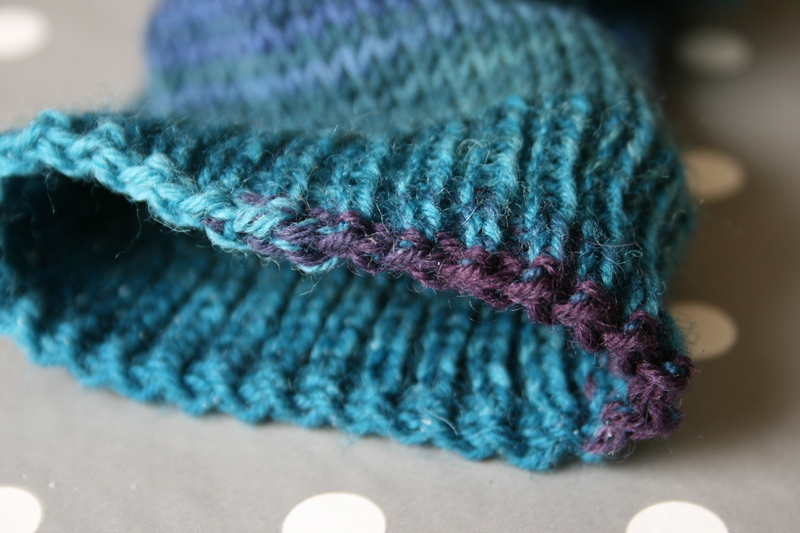 I liked the heel flap construction – it made sense and gives a nice fit, although I did end up with a teeny tiny hole in the corner, which I guess is just about experience with where to pick stitches up from. 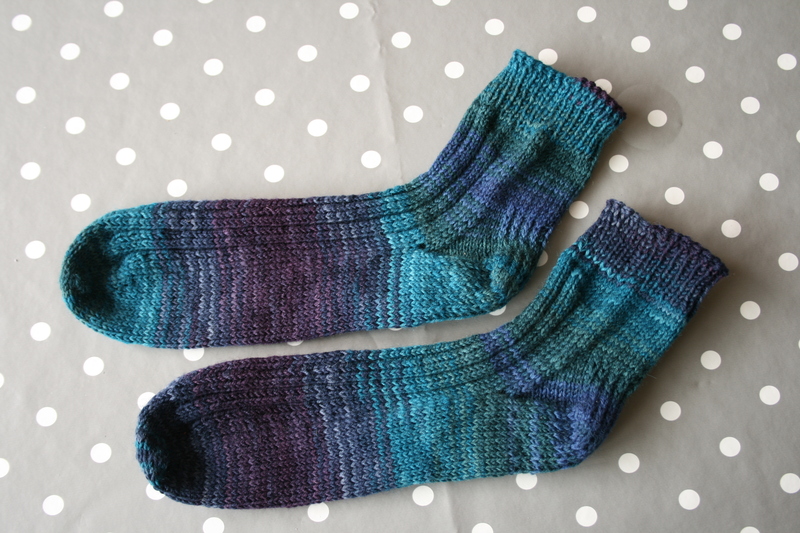 I’d go down a needle size in future as the fabric is a little looser than I’d like, but all in all, happy feet! We have just returned from our mega family gathering over in west Wales. It’s usually an every-other-year holiday, but we all enjoyed it so much last year that we decided to do it again sooner this time. There were nearly forty of us this year, and we just had a fabulous week. The boys absolutely loved it! We have a great site that we use, with several houses grouped together, as well as grounds to explore. Pumpkin, being a little older, was granted freedom to roam the site with other cousins his age and older. There was a playhouse in the woods, a climbing frame and swings, woodland dens and trees to climb. Pickle mostly stayed within the courtyard garden, playing with younger cousins and a variety of bikes, balls, frisbees and pushalong toys. Every so often, he would sidle slowly towards the gate, wanting nothing more than someone to accompany him simply to throw stones in the small stream. Day trips were had, to beaches and gardens, houses and museums. We went off for coastal walks and train rides, picnics, ice cream, and of course Fish and Chips for tea on the best little beach on the last day. Bliss! 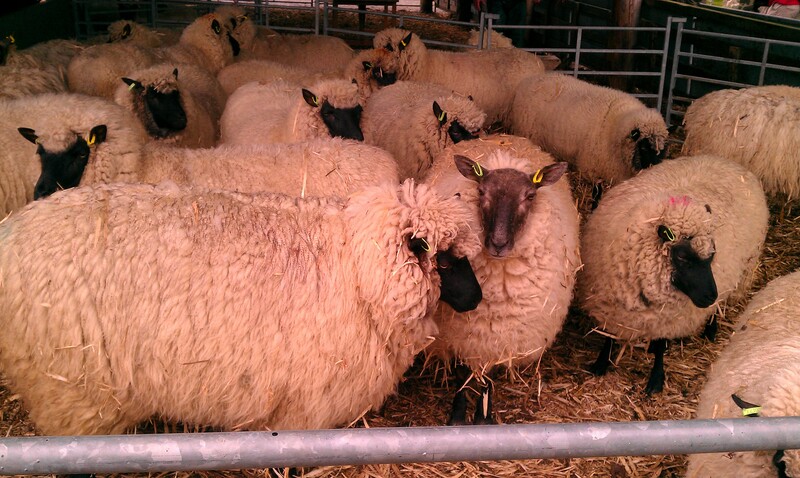 Our first day trip of the week was to Llanerchaeron, a National Trust property, which had a sheep shearing demonstration on, as part of their May Half Term activities. 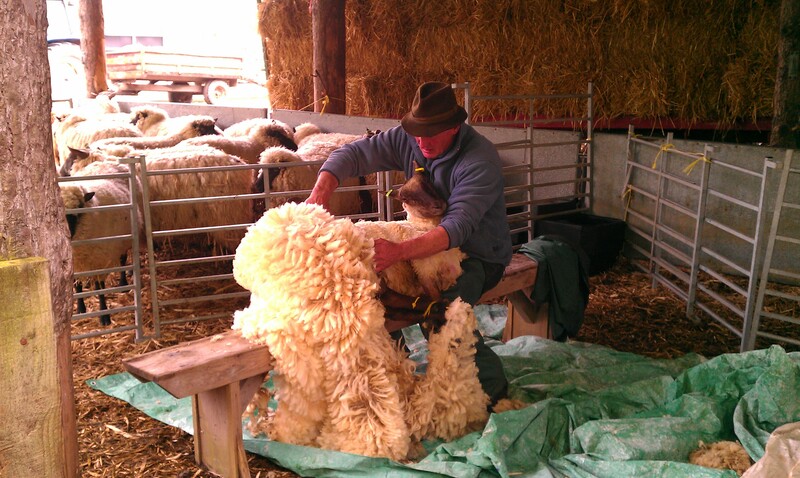 The man demonstrating was very interesting to listen to – before beginning the shearing, he showed various tools and items traditionally used in sheep farming and shearing. He had great knowledge and a witty style – I could have listened to him for hours. 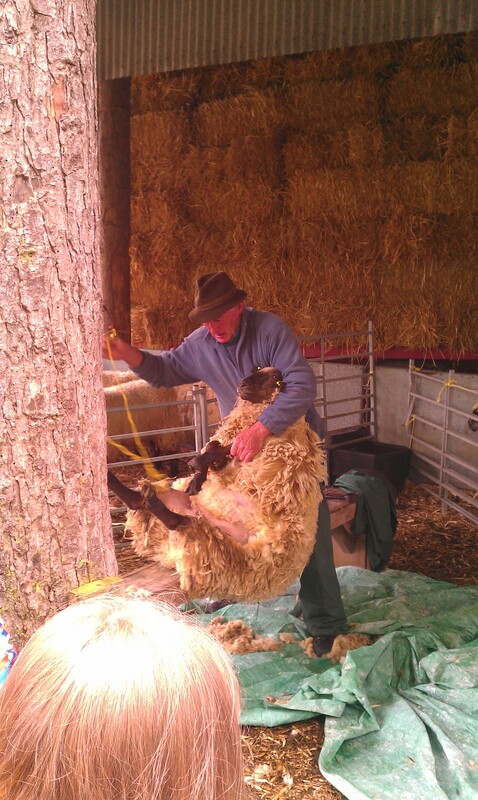 Trussing the sheep up ready to be shorn. 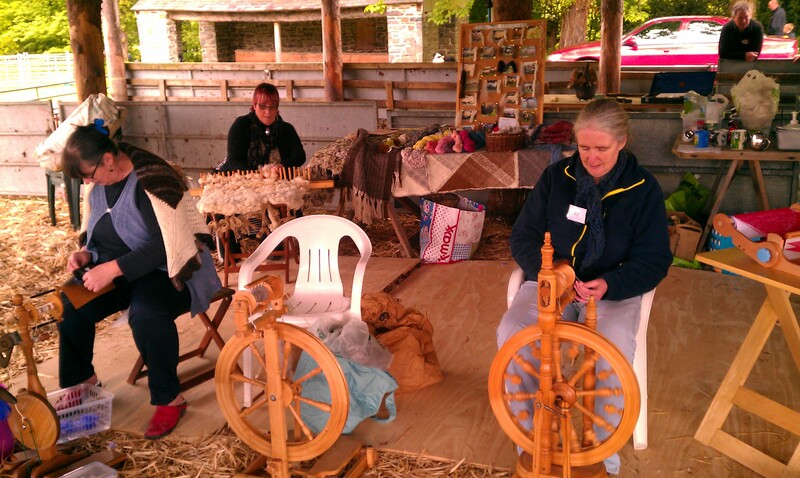 As well as the shearing, there were also members of the Ceredigion Guild of Weavers Spinners and Dyers on hand, demonstrating just about everything involved in taking the fleece from sheep to yarn to finished object. I quite fancied having a go on a spinning wheel, but the closest I got was a drop spindle. Pumpkin wanted to try it, so I helped him. He found the drop spindle a bit tricky, but loved vigorously twirling a different, sort of helicopter style one, while the lady drew out the fibre. He was very pleased with his little bag of wool straight from the sheep, and ball of hand-spun yarn, and excited to take it to school with him to show his teacher. 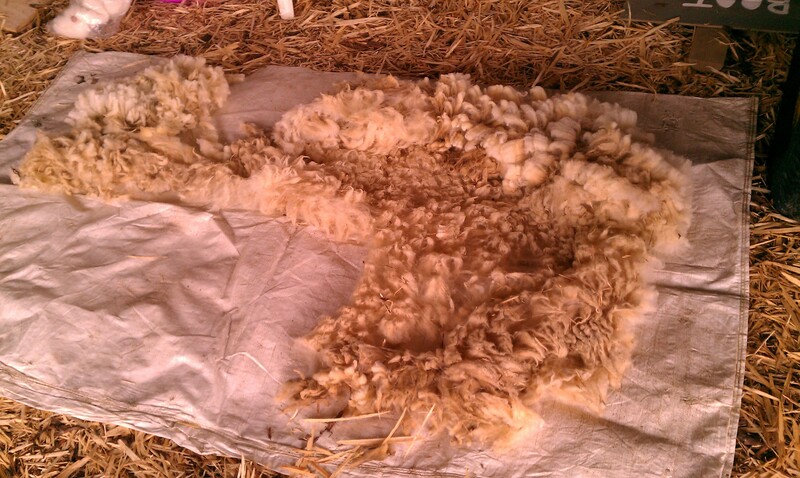 I also got a little bag of freshly-shorn wool, and was given a beautiful handful of fluff by one of the ladies. 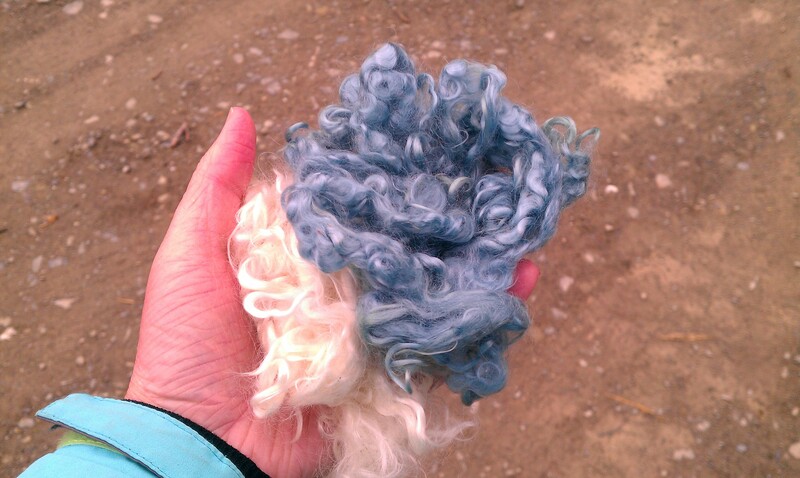 This is apparently from a Wensleydale sheep, and the blue was hand dyed using home grown indigo from the lady’s own garden. The picture doesn’t really do it justice – it’s pretty and shiny and wiggly! I want to know what to do with it! I’ve just weighed it, and there are just over 25 grams there. Not much, but useable. I’m going to have to go off and investigate exactly what I need to do with it so I can knit it into something small but nice. Unless any of you lovely readers have any clue or suggestions?